1. PRIMER – Never underestimate the power of a good primer. I didn’t start wearing a makeup primer until the day of my wedding about 2 and half years ago and haven’t looked back. It makes such a difference and really smoothes & perfects your foundation. I’ve been using Benefit’s The POREfessional for the past year and half or so and have tried a few different brands in between and always go back to my #1 favorite, tried & true! It’s silky smooth, smells amazing and helps my makeup last all day! 2. CONCEALER – I’ve used many from drugstore to high-end and have loved a few of them. 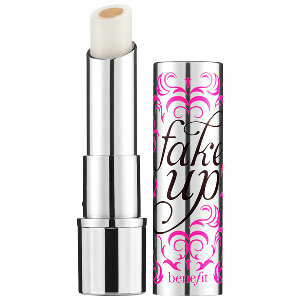 Probably my most used & favorite would be Benefit’s Fake Up. It’s hydrating, gives great coverage and blends really well. My ONLY complaint is that there isn’t a lot of product provided for the price. 😦 When a concealer is applied and covers all of your breakout/blemishes it keeps you from using too much foundation causing your makeup to look “cakey” or overdone. I also use this under my eyes, covers my dark circles every time and there is no need for an extra highlight! 3. 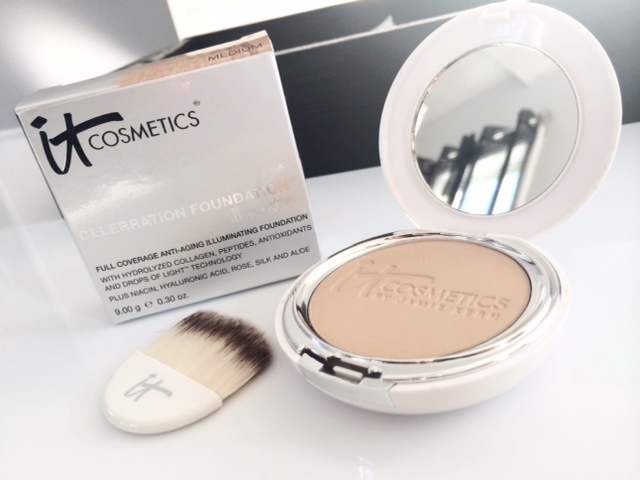 FOUNDATION – My new go-to pressed powder foundation is from IT Cosmetics, the Celebration Foundation Illumination. It is a full-coverage, anti-aging powder that gives your skin with a healthy, beautiful glow! A small brush is included but I like to use their Heavenly Luxe Airbrush Foundation brush (any flat top brush that will easily buff the product out will work just fine.) I have combination skin (always oily t-zone) my skin loves this matte finish. A combination of antioxidants, aloe, rose, silk, papaya fruit extract all give you flawless skin without all the bad added extras. The powder is very pigmented, so not a lot is needed to give you full-coverage. 4. 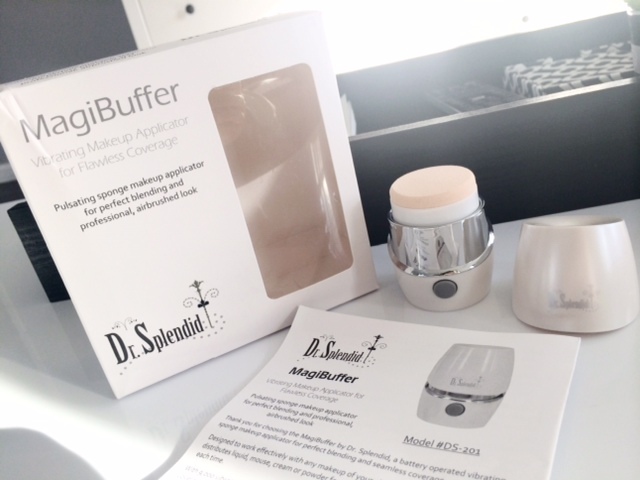 APPLICATOR – I’ve used the Beauty Blender, Sigma Brushes, Sephora brand brushes and now I’m using this really cool product from Dr. Splendid called the MagiBuffer. I’ve used this with CC Cream, BB Cream, liquid foundation & powder foundation. It helps me achieve polished, flawless results every single use. It’s super simple to use, the sponge head comes off with just a twist so it’s very easy to keep clean or switch out for a new one. I use this much like I do a Beauty Blender, dampen the sponge, apply the foundation and let the vibrating gadget work its magic! 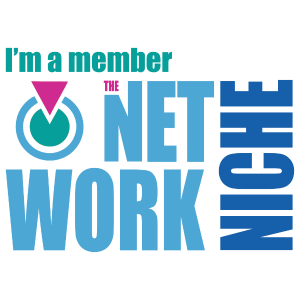 It gives salon quality results without the high price tag and is small enough to take along with you for any needed touch-ups required throughout the day. In love! 5. SETTING SPRAY – Last but not least, a setting spray! My skin gets SO oily throughout the day, but I feel that all of the steps above & a good setting spray help tame my wild skin! The setting spray keeps everything in place and makes it so you shouldn’t have to keep reapplying & reapplying your makeup all day. I use Urban Decay’s All Nighter Long-Lasting Makeup Setting Spray. I think it works especially well for eye shadow and concealer, it helps keep those creases and lines in check and keeps your skin smooth. I also like to give my face an extra spray mid-day just to refresh & keep everything perfect! Thank you! It’s pretty awesome, I’m loving it!